History is well preserved when engraved on paper and it is in good hands when is written by people working in and around Indian football. Indian football has seen a lot of twists and turns and very few pieces on paper can define them perfectly, some of them coming out in the open in the journey of 2017. The genre saw journalists; football administrators and professionals come up with books that define the history as well as the current rise of club football. 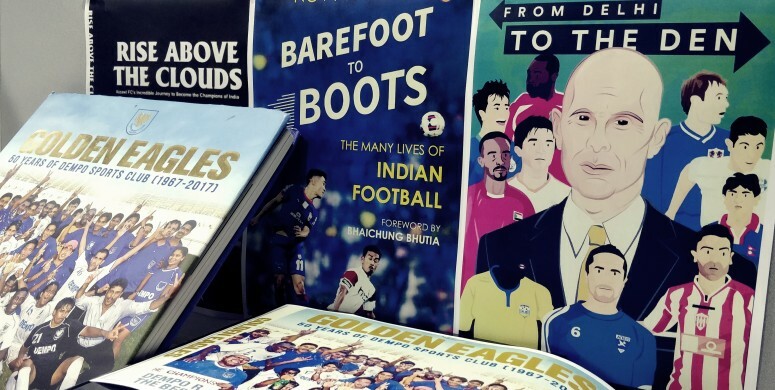 Here, we take a look at the five books that were published in 2017 that revolved around the microcosm called ‘Football in India’. A team that has seen every high until Bengaluru FC’s foray to the AFC Cup finals last season, Dempo FC, it surely was a pleasure for Marcus to elucidate the journey of India’s one of the best football clubs run by one of the most influential families in the state. Beautifully written and edited, Golden Eagles includes a message from AFC President Sheikh Salman Al Khalifa, a brilliant entourage of photographs from 1967 to 2017 and brief comments from all the successful players over the years. If you’re into Goan football and you’ve known the 2004-2010 phase of the club, you know this is a must-read. How to get this book: Sorry, Dempo FC have not put their prized asset on sale. You can get a copy by messaging and requesting the same to the club officials. If there’s a man who goes way back in history and elucidates events like Pakistan supporting India on a sporting pitch, Novy is. This book turns into a journey, an absolute information assortment as far as the history and timeline of Indian football is concerned. Articulated to suit the young and the middle-aged fans equally, Novy was congratulated by AIFF President Praful Patel and the book includes a foreword from none other than the Sikkimese Sniper Bhaichung Bhutia. From AFC to FIFA, everyone looked up and noticed the ‘Leicester’ story of Indian football as Khalid Jamil-inspired Aizawl FC rose above the clouds amidst the mountains to scale highs. The team that relegated out of the league just a year ago was only given entry due to their good showing at the Federation Cup. Scaling the league was least expected, and with a band of mad and desiring men, Indian football’s Diego Simeone reached the top and Chiranjit has perfectly put the journey in words. Writing your biography can be a taxing job, but Stephen Constantine, currently managing the Indian National football team, is certainly good to take two together. Having started at the Cypriot fourth division, the much-travelled man has seen Cyprus, Millwall, Rwanda and a lot more. From creating controversies associated with Indian football, the ISL and World Cup qualifiers, Stephen Constantine has realistically bared more than he probably should have. No harm done, if you don’t miss this book. In the hills, there’s a beauty of living life and it’s a different world. When it comes to Indian hills, there’s a distinct footballing culture, and John Zothansanga has put his natural instinct and voice on the pages of this beautiful trajectory. The book is about Mizoram's football professionalism journey, how the well-structured Mizoram Premier League revived local football in the state and played a vital role in the state’s first-ever Santosh Trophy win. 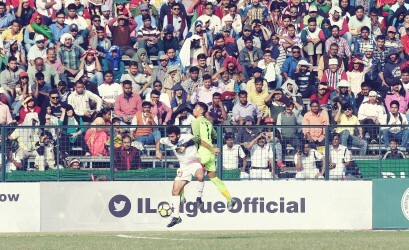 It also incorporates the incredible journey of Aizawl FC fairy tale title win, and how S.Malsawmtluanga, the first ever professional footballer from the state, inspired thousands of youngsters to take up the game. We are looking forward to some of the brilliant artworks that would feature in 2018. We will keep you updated.